Mitch Evans rounded off an incredible weekend after a last lap lunge on Arthur Pic to claim his first win of the season. Jordan King started from pole but after clashing with Norman Nato, Pic stole the lead with Richie Stanaway and Evans in hot pursuit. Yesterday's Feature Race winner, Alexander Rossi and Arden driver, Robert Visoiu made contact, causing an early safety car. The latter clipped the back of the American, spinning the Racing Engineering car around and ending both drivers' races. Sergey Sirotkin lit up the timing screens by making his way past a number of his competitor before passing Rio Haryanto and Raffaele Marciello, three cars wide, in just one move. With Stoffel Vandoorne and Evans trading fastest laps, the pressure was on Pic to stay calm. But for the Frenchman, the RUSSIAN TIME pilot was just too quick and with DRS, he threw his car in to the inside of turn one and claimed the lead. 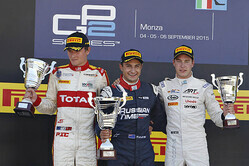 At the chequered flag, Evans led the pack making it three-out-of-three podiums, whilst Pic and Vandoorne followed. Stanaway held on to fourth, ahead of Sirotkin, who started P20, in fifth. Sergio Canamasas crossed the line in sixth with Raffaele Marciello in seventh. 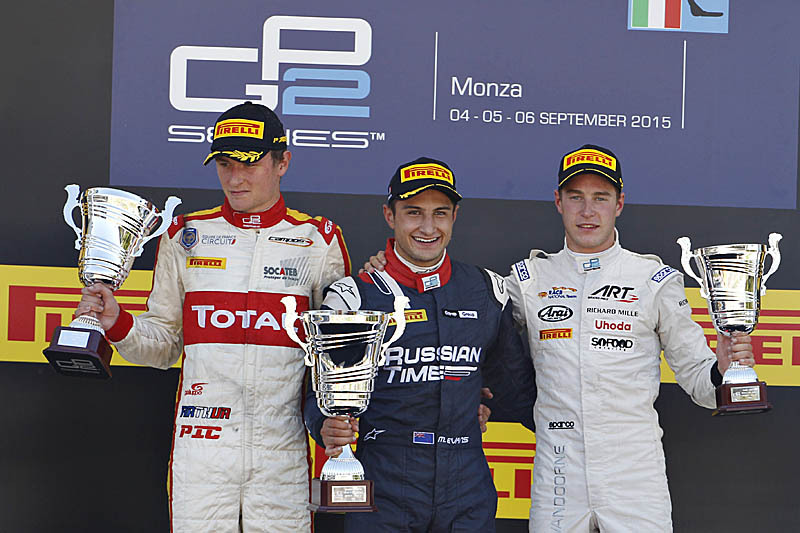 Rene Binder, Artem Markelov and Julian Leal complete the top ten.